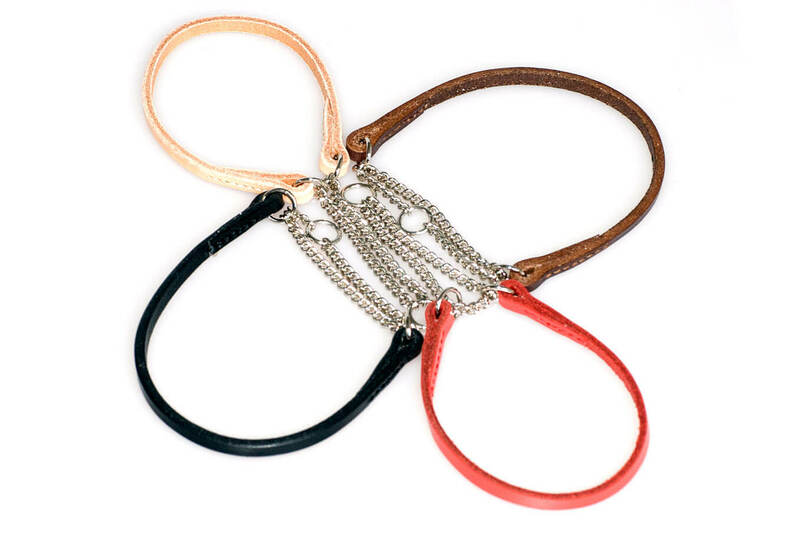 Martingale style dog show collars made from premium quality 6 mm bridle leather, hand stitched for extra durability and equipped with strong but lightweight chrome half check chains. 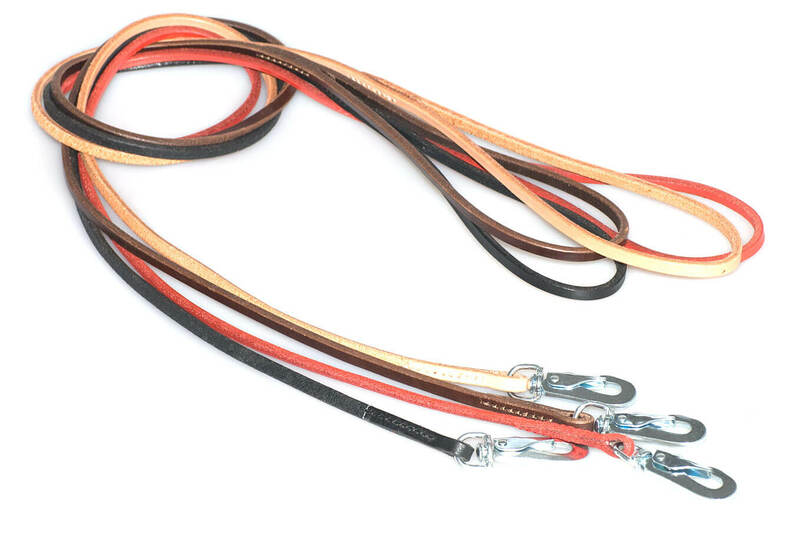 Martingale leather show collars are designed to be used with a trigger hook show leads and provide more control without chocking your hound in the show ring. Half check collars are a more gentle and humane alternative to the full chock and slip collars, and are extremely popular with dog exhibitors. 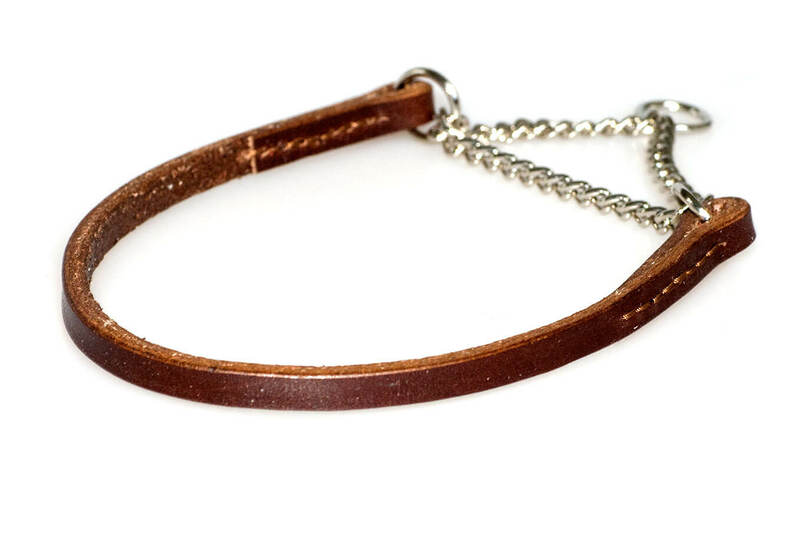 Martingale style dog collars are also known as greyhound and whippet collars since, when fitted correctly, they prevent long narrow sighthound heads from backing off and slipping out of their collar. 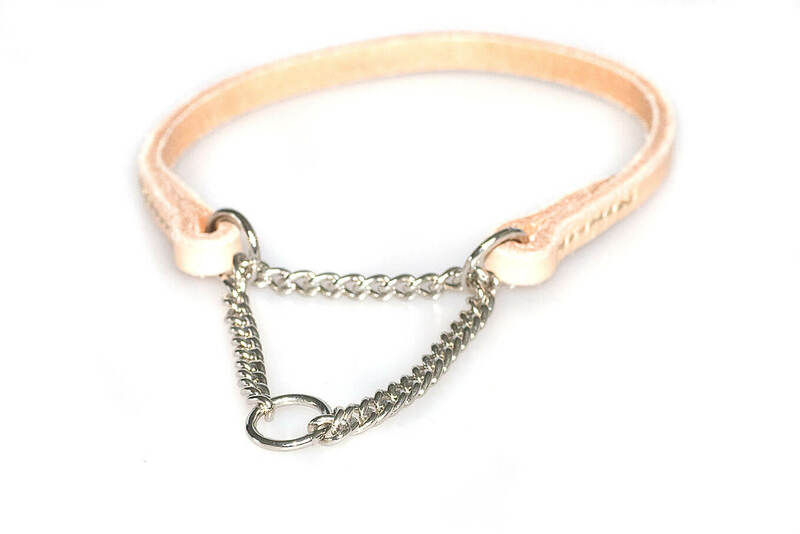 Our dog show martingale collars are available in five sizes (25 cm, 30 cm, 33 cm, 35 cm and 40 cm) to fit most breeds from the smallest Italian Greyhound to the largest Borzoi. 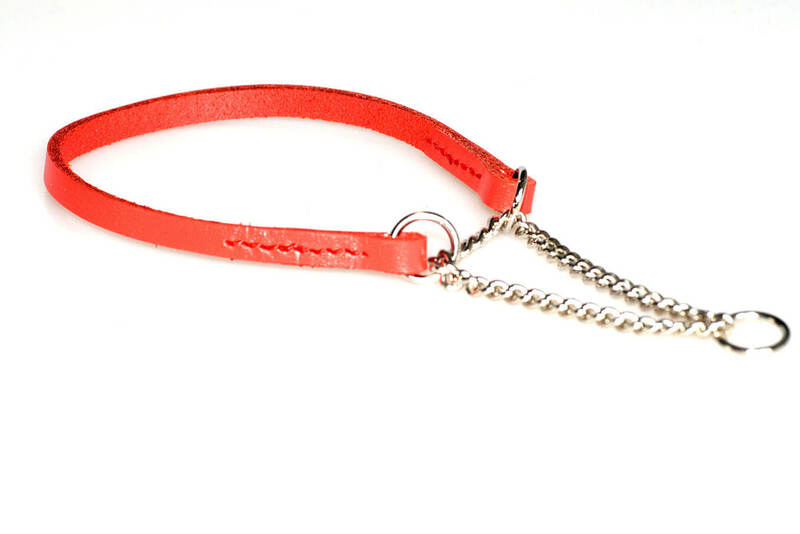 Please see the martingale collar size guide tab for instructions on correctly measuring your dog for a martingale collar. 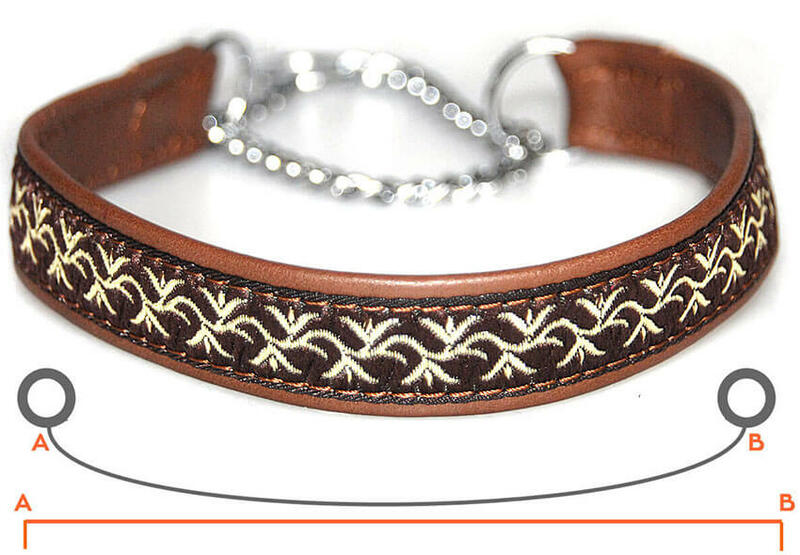 Please do not hesitate to call +44 (0) 20 3582 4532 or write to us if you need help in choosing the correct martingale dog show collar for your hounds. We are here to help!